Do you work for a media company with interest in covering Gamers for Giving? If so, this blog post is for you! Below you’ll find our super official press release for this year’s fundraiser. If you’d like to request an interview from one of our staff, or wish to attend Gamers for Giving in-person, drop us a line via our contact[@]gamersoutreach.org email! One of our team members will get back to you! Video game charity marathon “Gamers for Giving” aims to raise $500,000 in support of entertainment for hospitalized children. 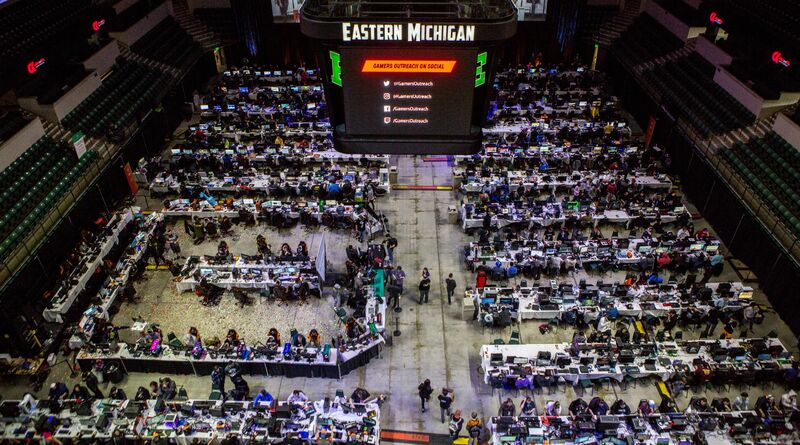 Gamers to rally at the Eastern Michigan University Convocation Center through an in-person “LAN party” and online broadcast, helping thousands of hospitalized children across the U.S.
Saline, Michigan – March 4th, 2019 – Gamers Outreach Foundation (Gamers Outreach), a 501(c)(3) organization, is returning to the Eastern Michigan University Convocation Center for its 11th annual “Gamers for Giving” fundraiser. The event takes place on March 23rd & 24th and aims to raise $500,000 in support of providing entertainment to hospitalized children and their families. Gamers for Giving is a weekend-long competitive gaming tournament, LAN party, & streamathon that raises money in support of Gamers Outreach programs. Since 2008, the organization has been working to improve the patient experience in hospitals through digital entertainment – video games – in an attempt to ease the burdens of treatment. Through its “Project GO Kart” and “Player 2” programs, the organization estimates it has capacity to provide recreation to more than 1.1 million children annually in hospitals across the U.S. 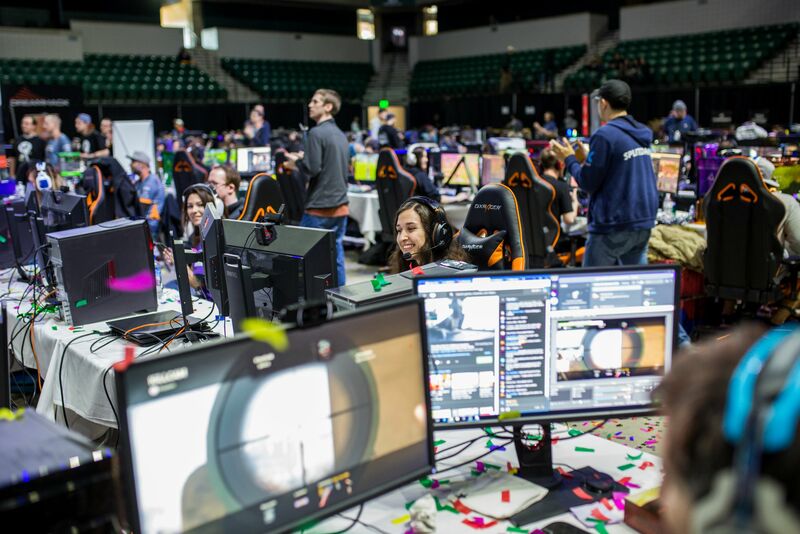 The event attracts thousands of gamers each year, as well as prominent content creators from within the video game industry. Sponsors help cover production costs while ticket sales and online donations drive charitable impact. Those who attend bring their own computers / video game consoles and enjoy a weekend of gameplay with fellow enthusiasts, all while raising money for the cause. The event will be streamed live on Twitch.tv/GamersOutreach in partnership with a variety of influential streamers and personalities from the video game industry. Tickets are available to the general public; and anyone with interest in supporting the cause can donate directly or find information to fundraise at www.GamersforGiving.org. Gamers Outreach is a 501(c)(3) charity organization that provides recreation to children in hospitals through the power of video games and the gaming community. Hospitalization can often be a lonely, isolating, and scary experience for young people. Gamers Outreach eases those burdens by providing equipment, technology, and software that help kids cope with long-term treatment. More information can be found at www.GamersOutreach.org. Gamers for Giving is a weekend-long competitive gaming tournament, LAN party, & streamathon that raises money in support of Gamers Outreach programs. Ticket sales and donations help provide entertainment devices to hospitalized children. More information can be found at www.GamersforGiving.org.